The Latin name for Wild Yam is dioscorea villosa and it is indigenous to most of United States. It is wide spread from coast to coast as well as up into parts of Canada and down into many portions of Mexico. It is a perennial twinning vine with tuberous roots have been used in western medicine since the 18th century. 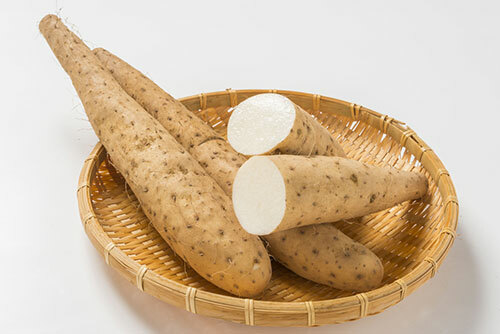 In the 1960s Wild Yam was used to create the very first pharmaceutical for birth control. Dioscorea villosa has been utilized to treat a large variety of stomach disorders including Crohn’s Disease. Wild Yam has also been included in many male enhancement supplements and those for cancer prevention. Many of the claims that this plant can treat many disorders is due to the fact that it contains very important compounds known as tannins. Wild Yam contains a number of extremely health beneficial properties and one at the top of the list are tannins. These chemicals have been used in homeopathic and naturopathic in the west for a few centuries now and in eastern medicine and philosophy for thousands of years. This led to a number of studies and clinical research being conducted by a large number of prominent scientists. There is a very informative article published on Pub Med by the Department of Microbiology and Molecular Cell Sciences at the University of Memphis about tannins and their inhibitive abilities. Some of the studies of tannins that were conducted were of the correlation between the consumption of tannin and polyphenols rich tea and its anticarcinogenic effects. Tannins also demonstrated antimutagenic properties. This was shown to act as an antioxidtive compound which protects the cells against lipid peroxidation and oxidative damage which means that tannin rich plants have the ability to protect tissue damage caused by several serious diseases. Another study published on Pub Med about the prophylactic role of antioxidants explains how they affect erectile dysfunction and oxidative stress. Oxidative stress is the result of an overload of toxins which causes can cause tissue damage and disease. Empirical evidence revealed from long term antioxidant treatment can be a prophylactic instrument to prevent fibrosis and deterioration of smooth muscle associated with erectile dysfunction. The above mentioned research extensively documents the antimicrobial activities of tannins as well. This compound was shown to inhibit the development of numerous yeasts, fungi, viruses, and bacteria. It was reported that this was due to the hydrolysis of ester linkage relation between polyols hydrolyzed and gallic acid following the ripening of a large number of fruits. Evidence shows that tannins can effectively reduce the serum lipid level, decrease blood pressure, and regulate immunoresponses. Erectile dysfunction is sometimes the result of certain bacterial infections such as chronic prostatitis. Treatment with Wild Yam Root is effective against these disorders due to its antimicrobial properties. The tannin acid in dioscorea villosa can effectively correct serum lipid levels which in turn can improve erectile function in certain cases of hypercholesterolaemia. Erectile dysfunction sometimes stems from many types of autoimmune diseases such as type-II diabetes. There is strong evidence to suggest Wild Yam can assist in correcting this issue due to autoimmune response regulation.